Japan has already created speedy bullet trains that move so fast that one cannot see them while moving. 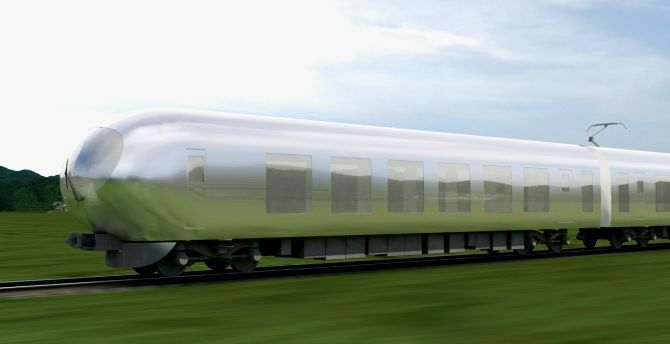 But the all-new Invisible Train by award-winning architect Kazuyo Sejima (recipient of the Pritzker, i.e. Nobel Prize of architecture) is meant to camouflage into surrounding, when it’s speeding across Japanese countryside. The commuter train uses semi-reflective and semi-transparent materials that create illusion of invisibility whether the train is standing still or moving. 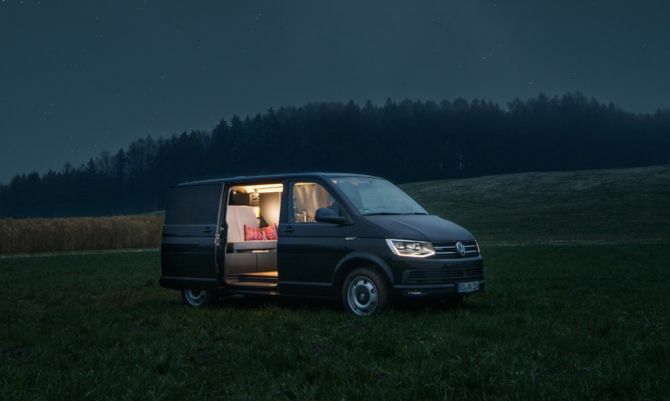 Combining minimalism and luxury, German designer Nils Holger Moormann has redesigned a mousy Volkswagen T6 transporter van into a comfortable, stripped down mobile home. This minimalist home is outfitted with natural and high quality materials, providing you a comfy place to stay on-the-go. If you think the exterior looks too ordinary, wait till you step inside. 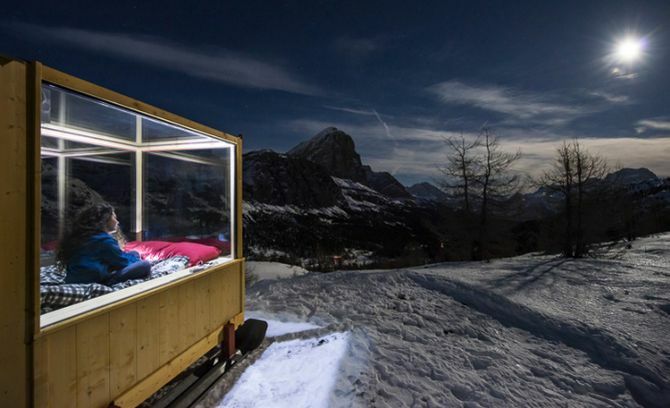 Although it’s not easy to reach this glass-encased cabin in the Alps, but people who succeed are surely going to get an unforgettable experience, while lying under the Milky Way. Located at an altitude of 2,055-meters on snow-capped Dolomite Mountains, the Starlight Room has been installed for adventure seekers by Raniero Campigotto, the owner of the popular mountain lodge Rifugio Col Gallina. 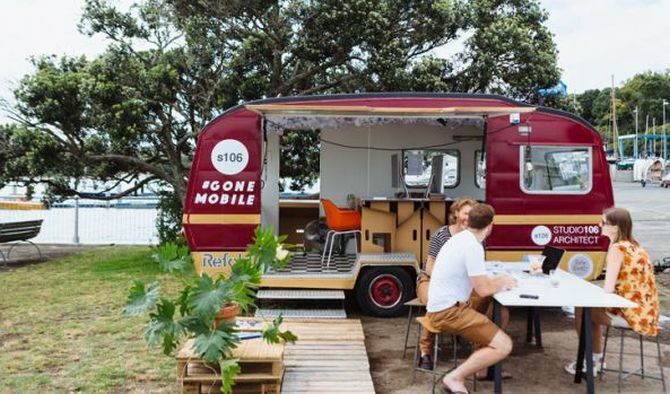 Taking work out of office into open landscape, New Zealand-based architecture and design firm Studio 106 has turned a retro mobile caravan into a portable office unit. #GoneMobile caravan is a vehicle with interior designed as a typical office workspace. The office space fits inside the caravan’s open concept layout, allowing the users to set up their personal office anywhere they desire. 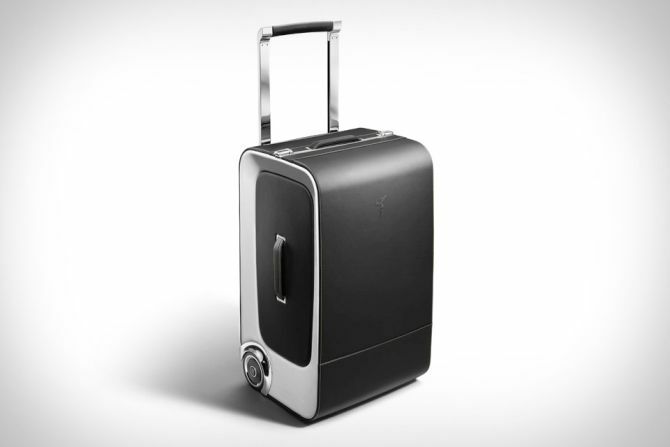 Do you like hitting the road, but with the comfort of home? If yes, then towing a camping trailer is certainly the best option for you. But instead of camping and traveling in conventional trailers, why don’t you opt for environmentally-conscious RVs? For environmental enthusiasts and camping lovers, the folks at Homegrown Trailers have come up with a sustainable wood panel camper that’s made completely out of natural materials. This way this spherical camper aims at reducing carbon footprint, while offering you comfort of your home on-the-go. 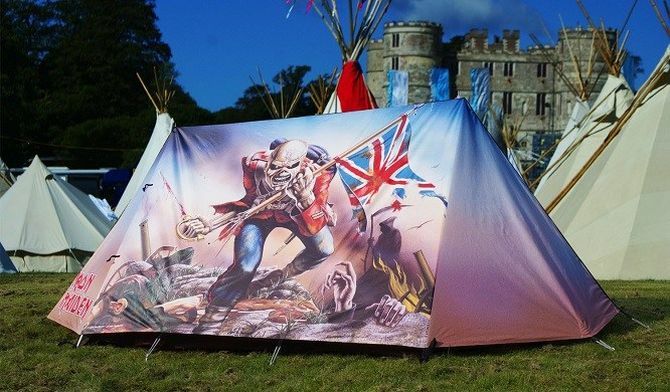 If you’re a regular music festival goer, then you may have seen people (or probably you’re equally guilty of) leaving the temporary tent behind after the event. This leads to huge amount of wastage- as the ditched tents are destined for landfills. 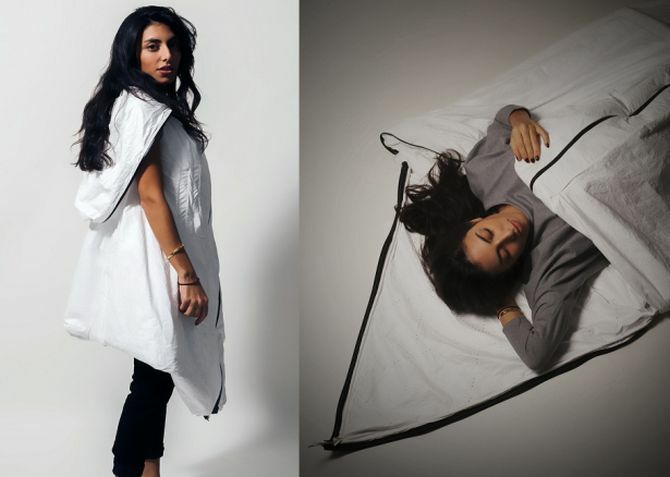 To combat the problem, Dutch start-up company KarTent has found a 100-percent recyclable solution in form of a cardboard tent. 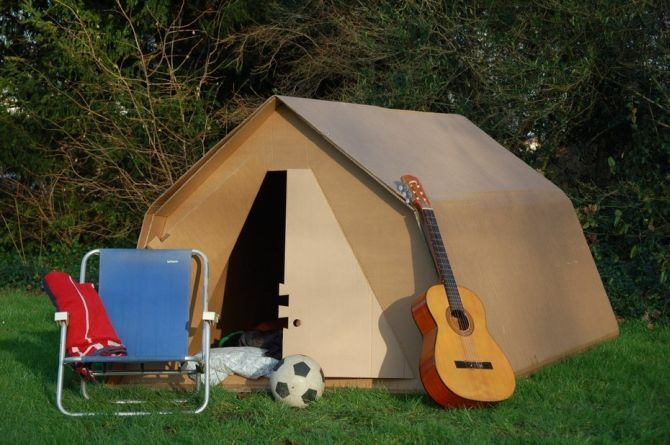 But wait, can this cardboard shelter survive in a rainy day? 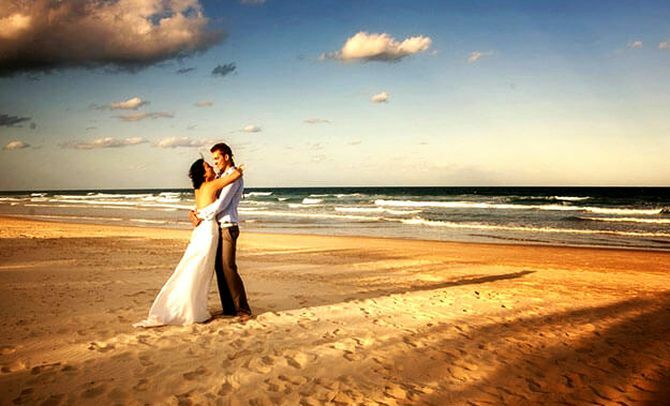 Valentine’s Day is just seven days away, and time is running fast to plan a romantic holiday. But wait! Are you still confused where to take your partner this Valentine’s Day? Don’t worry, we have complied a list of ten whimsical places around the world that are surely going to make your Valentine’s Day more dreamy and unforgettable.